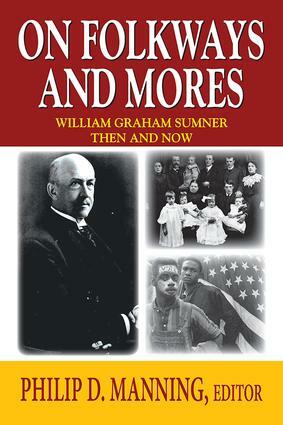 William Graham Sumner is remembered primarily as an opponent of government intervention in social and economic issues. Focusing on Folkways (1906), this book examines Sumner's fundamental work as a comparative ethnographer with an appreciation for the rules and rituals that regulate everyday behavior. In Folkways, Sumner developed classifications and an array of sociological concepts that continue to influence the discipline today. This new book presents key excerpts from Folkways as well as three of Sumner's other classic essays. It also includes five original essays by contemporary authorities that explain and explore Sumner's importance and influence. By linking Sumner's work to contemporary research about social control, the sociology of law, and sociological theory, these new essays confirm his status as a foundational thinker in the field. Sumner offers an elegant conceptual schema with which to analyze the moral codes of in- and out-groups. His extensive use of comparative anthropological data demonstrates a qualitative methodology that can easily be applied to the analysis of contemporary American society. This volume includes contributions by Jonathan B. Imber, Howard G. Schneiderman, and A. Javier Trevino.